Color has the physiological power to soothe or seduce, nurture or ignite. 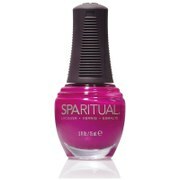 By fusing the disciplines of color therapy, SpaRitual has designed a lush, shimmering palette of nail lacquers. Each SpaRitual shade is associated with a unique message or meaning. SpaRitual's color experts have carefully hand-blended each hue for superior shine, dry time and coverage and their signature brush is specially designed to allow for precise lacquer application. 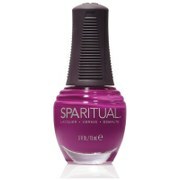 100% vegan, free of DBP, formaldehyde and toluene. 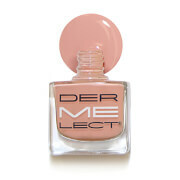 Hand-blended to ensure superior shine, dry time and coverage. Specially designed brush allows for precise lacquer application. Absolutely worth the purchase. The color is beautiful and fun on my toesies.